5.Since the Family Court wants its instructions followed, my paralegal or I must point out what needs to be changed, in a client’s draft Statement, to comply with the court’s instructions. Please click the link to navigate to Anthony C. Adamopoulos’s website. Most people who are in a dispute think about mediation or arbitration as alternatives to lawsuits and litigation. But there are several other process choices that people have for how to resolve their disputes. That critical choice of which process to use is often the most important choice people make in resolving their legal issue. Among these other choices are Collaborative Law, Case Evaluation and a general approach called Planned Early Negotiation or PEN. Four talented and experienced practitioners teamed up for a lively and enlightening panel presentation and discussion on these other approaches to resolving disputes on May 17 at the MBA office in Boston. The program was the last in a 2016 series of “Best ADR Practices” presented by the Massachusetts Bar Association’s (MBA) Alternative Dispute Resolution (ADR)Committee. 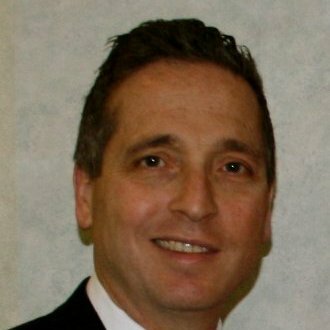 Brian Jerome, Esq. of Massachusetts Dispute Resolution Services in Boston and ADR Committee Chairman, along with MBA President Robert Harnais, Esq., welcomed a full and engaged audience to the program. Jerome also announced that the ADR Committee will be expanded and transformed into the new Dispute Resolution (DR) Section of the MBA starting in September, 2016 and welcomed people to join it. Michael Zeytoonian, Esq. of Dispute Resolution Counsel, LLC in Wellesley, opened the panel discussion and served as its moderator. Zeytoonian set the tone for these “cutting edge” DR processes, suggesting a different approach to resolving disputes by designing the DR process to be responsive to the situation. He noted that processes like Collaborative Law offer parties the flexibility and agility to be shaped to the circumstances of each unique dispute, and intentionally designed for the goal of resolving the dispute efficiently and creatively. sharing of all relevant information and the shared retaining of neutral experts that can freely and independently serve as a resource to the negotiation process. David Consigli, a CPA and business valuation expert with the CPA firm of Alexander Aronson & Finning in Boston and Westborough, spoke about the advantages to using a neutral expert in a Collaborative case or a Mediation. He compared the role of an independent expert providing value to all parties as opposed to being hired by either the plaintiff or the defendant. He pointed out the value of having expert information available in business break-ups or partnership disputes, as well as the importance of valuation information in business succession planning. John Fieldsteel, Esq., a lawyer, mediator, arbitrator and case evaluator whose specialty area of practice is complex construction cases, spoke about using case evaluation as a tool and an approach that can often be transitioned into mediation or used to assist a mediation. Case evaluation gives the parties a better sense of the strengths and weaknesses of their case as well as good indication of what the range of damages would be. Fieldsteel talked about the value to the parties of giving them good information, often confidentially, about the strength or viability of their positions and how useful this neutrally given information is in reaching a settlement. It is our great pleasure to announce the appointment of Judge David A. Mills to the MDRS Panel of Neutrals. Judge Mills’ remarkable background includes his service at the Massachusetts Appeals Court from 2001 to 2012. He has since then provided case evaluations in appellate matters, trial litigation matters, Single Justice practice, and pre-trial consultatons with a goal toward exploring alternative methods of dispute resolution. He is trained and experienced in ADR in its varied modes, receiving training with Professor Roger Fisher at the Harvard Negotiation Project in 1989. Judge Mills has also participated in extensive mediation training with MWI and MCLE in Boston, and has acted as a mediator in the Salem, Haverhill, Gloucester, East Boston and South Boston divisions of the Massachusetts Trial Court. He volunteers with SERV (State Employees Responding as Volunteers), primarily in the Middlesex and Suffolk Probate and Family Courts. Judge Mills is a member of the Trial Court Committee on ADR and was recently appointed to the Massachusetts Bar Association’s ADR Committee; he also serves as a Commissioner on the Massachusetts State Ethics Commission. Prior to his appointment to the Massachusetts Appeals Court, Judge Mills was a lawyer with a practice based in Boston and Danvers, maintaining private offices for thirty-two years. As a lawyer, his court appearances were diverse in many courts. His practice concentrated on zoning and land use and, for a time, criminal defense and “people in trouble.” He has been involved in a wide range of cases and represented many angles in disputes, from land disputes between opposing neighbors and “small-town fights”, to sellers, buyers, owners and developers in real estate matters. As a veteran of 47 years in the courts, Judge Mills is an advocate for mediation as an integral first response to disputes before time consuming, expensive litigation. 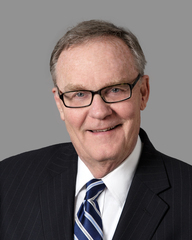 Judge Mills has said that “in mediation, the parties seek a resolution that gives each something of value, often a resolution that saves time, money, and minimizes damage to relationships.” His work has given him substantive grounds as an advocate for ADR who will continue to enrich the practice with his many years of experience. We are very excited to have his services available to MDRS clients.